Buy It, Sell It, Fix It, Donate It with Tenerife Flog It. Reach Over 17,000 Users ! 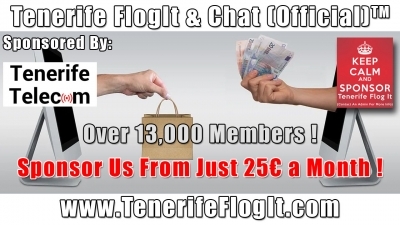 We have a combined reach of over 17,000 users via our group, Jobs in Tenerife's website & Facebook page + newsletter subscribers. We can also ensure that all group members and page fans get to see your publicity through targetting. Be Seen, Get Your Product or Service In Front Of Thousands ! Contact Us today and get a personalised quotation to launch or publicise your product or service to thousands of Tenerife residents ! We can provide you with detailed statistics of our members and users, how effective your advertising campaign is and show you a return on your investment that paper and radio advertising simply cannot provide. This is a new service available to users where we promote your products or services through our website FOR FREE ! NOTHING. We'll simply take your content from our Facebook group and publicise it here for you absolutelt free !